The KS1 and FS English Lead is Mrs McClare and the KS2 English Leads are Mrs Walpole and Mrs Denwood. The study of English at Redscope develops children’s ability to listen, speak, read and write for a wide range of purposes, including the communication of their ideas, views and feelings. Children are enabled to express themselves creatively and imaginatively as they become enthusiastic and critical readers of stories, poetry and drama, as well as of non-fiction and media texts. Children use their knowledge, skills and understanding in speaking and writing across a range of different situations. English has an important place in education and in society. 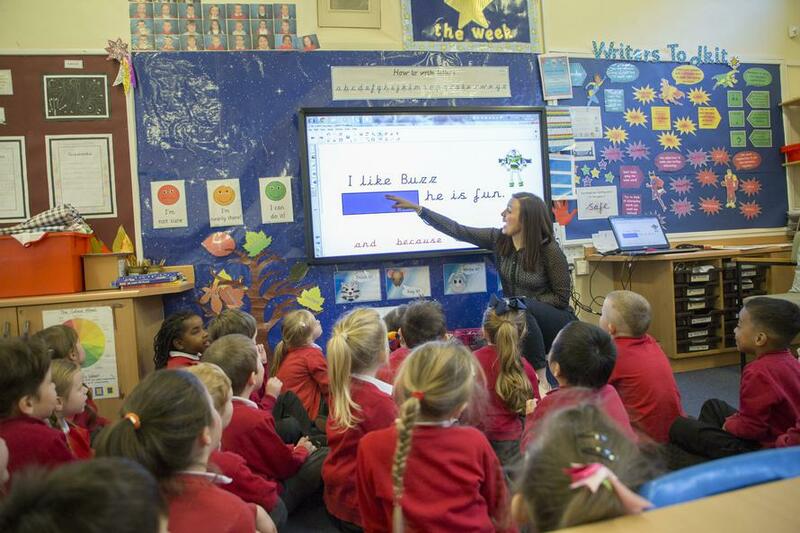 A high-quality education in English will teach pupils to speak, read and write fluently so that they can communicate their ideas and emotions to others. All the skills of language are essential to participating fully as a member of society; therefore, it is a priority of our school that all pupils develop their speaking skills to enable them to make a positive contribution. As part of daily English lessons at Redscope, our children are encouraged to verbalise their ideas and practise sentence structures orally. We use Talk for Writing in Key Stage One and Lower Key Stage Two to promote oral storytelling and vocabulary practice prior to written work. 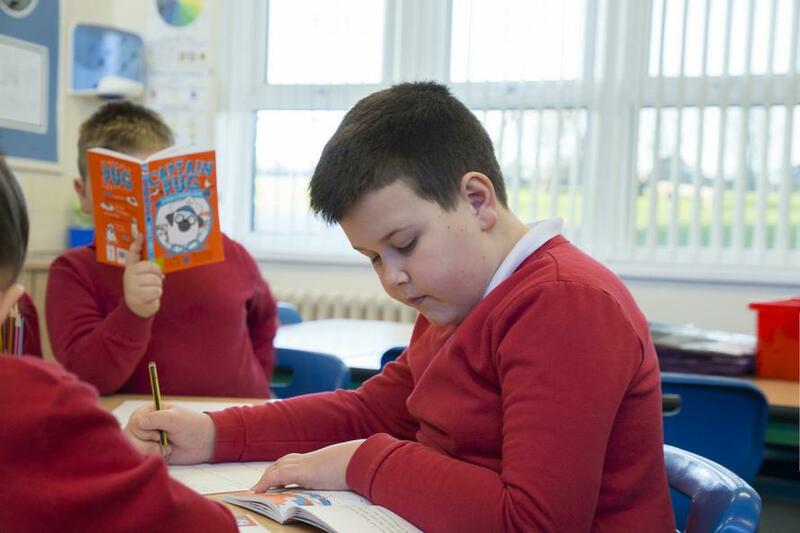 At our school, it is our aim to develop enthusiastic and confident readers who can understand a wide range of texts. 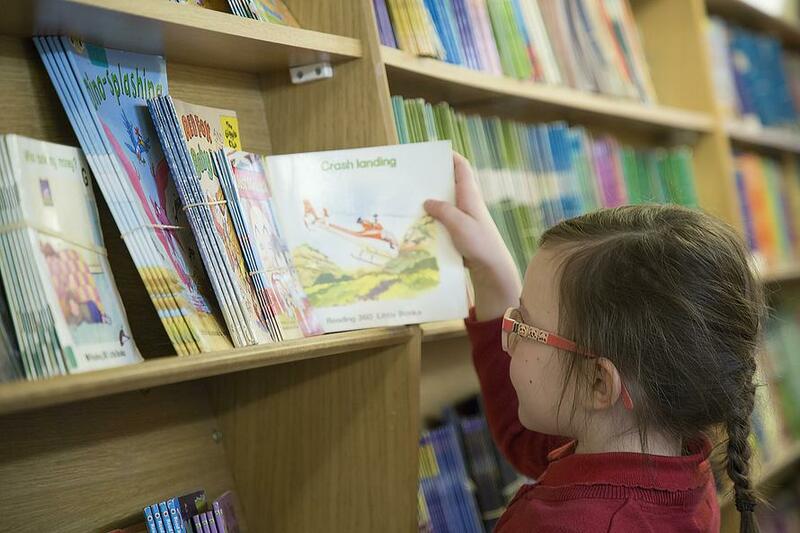 Children will read for interest, information and we pride ourselves in encouraging children to read for enjoyment. 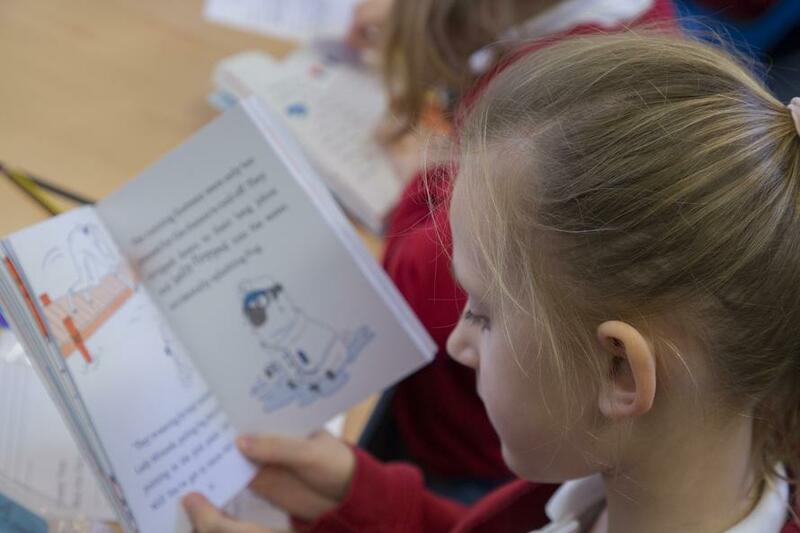 Our pupils are provided with daily opportunities to read collaboratively, independently and in guided reading sessions to both develop reading and comprehension skills and promote reading for enjoyment. * Children read, summarise, express and clarify their own ideas and the ideas of others. 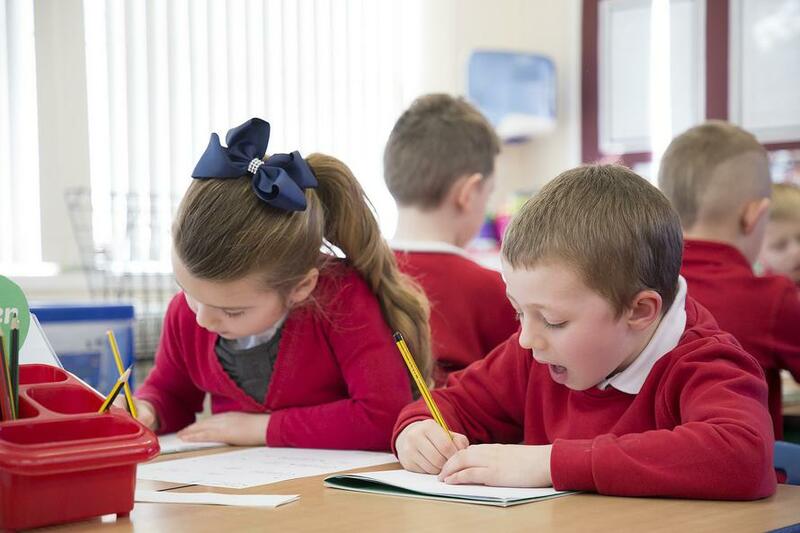 Our English curriculum is designed to promote good outcomes for pupils by providing children with the opportunity to develop their speaking and listening into reading and writing skills. We use the National Curriculum objectives to inform our planning and progression documents to ensure that skills are being built on in each year group. Cross-curricular links are planned for, ensuring each year group covers a range of writing genres linked to their curriculum topics throughout the year to ensure that skills are being practised and knowledge and understanding is being applied to other curriculum areas. Each year group has specific genres, ensuring that during their time at Redscope Primary, they have developed mastery of a wide range of writing styles for a range of different purposes. * High quality texts, drama and first-hand experiences are used to stimulate writing opportunities. Grammar, punctuation and spelling is taught in discrete teaching sessions at our school to ensure that children have a secure understanding of grammatical structures, word classes, accurate punctuation use and spelling patterns. Children are given the opportunity to practise skills during these sessions which can then be applied in writing sessions in English and other curriculum areas. 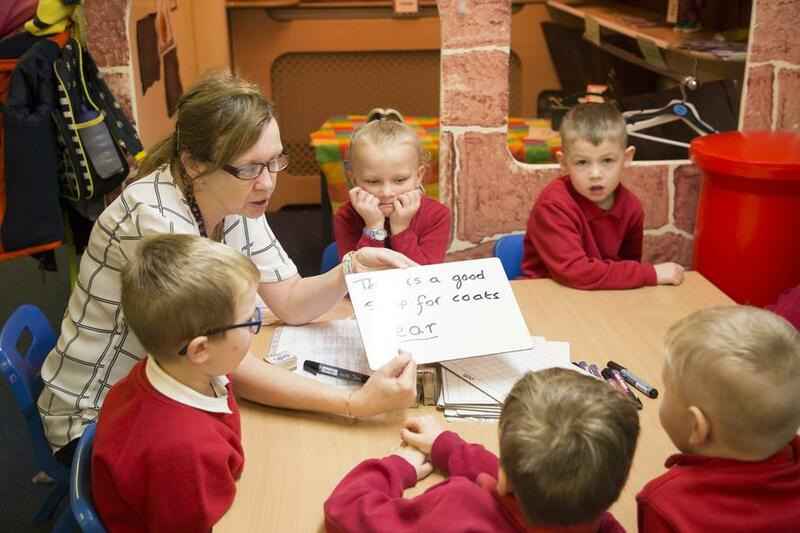 We use the Rising Stars scheme for spelling to ensure that spelling patterns are being taught consistently across school.